Some parts of this story need further work, as suggested in the PNAS commentary. However, I want to discuss broader implications, rather than dwell on uncertainties. So, I’m going to assume that Galen, et al are right, and that we see the Ile55 change in high-altitude wrens partly because it is beneficial, and partly because its occurrence is favored by a roughly 10-fold higher rate of mutation. That is, the higher mutation rate probabilized this particular adaptive change. Causal mutations identified by Pepin and Wichman in laboratory adaptation show a bias toward transitions. The right column indicates that, for some of these, the change could be a hitch-hiker rather than a driver. If we cross those out (lines), the remaining changes show a significant bias of 13 transitions to 5 transversions (null expectation is roughly 1:2). Furthermore, I’m going to assume that this is just the tip of the iceberg. If we look at other cases, we’ll see more evidence for a role of CpG hotspots. We’ll find that this effect applies to other types of mutation biases, e.g., transition-transversion bias, insertion-deletion bias, and so on. Furthermore, we will find that, when objective measures of effect-size are applied, the effects of mutational bias will be substantial. When I make this suggestion, it is not idle speculation. I’ve been tracking the evidence for years, and I reviewed some of it previously in The Revolt of the Clay and a followup (this is a more extensive list than appears in the PNAS commentary). 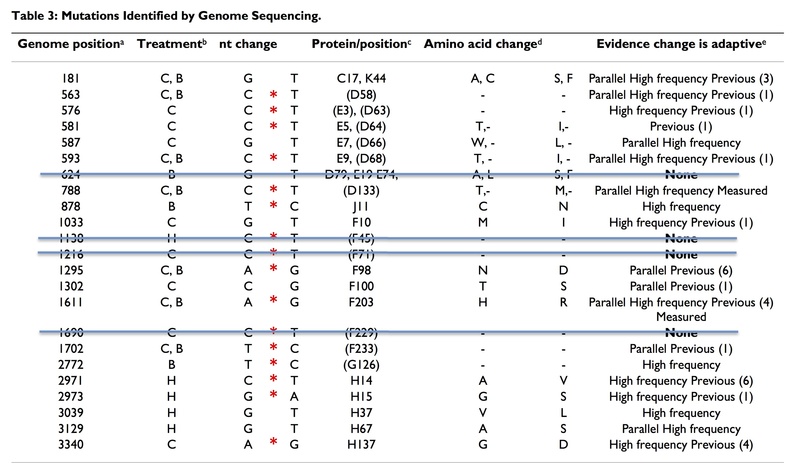 For instance, in a study that I neglected to mention previously, Pepin and Wichman (2008) carry out repeated adaptation of phiX174, and the results show a clear bias toward transitions (above Table). According to this theory, every species has a “gene pool” that serves as a kind of dynamic buffer, soaking up and maintaining variation so that selection never has to wait for a new mutation. This buffer effectively insulates evolution from effects of mutation. As a result, mutations do not play a direct role in evolution, and they do not initiate change; rates of mutation are not determinative, so we don’t expect to see any correlation of the rate of evolution with the mutation rate. 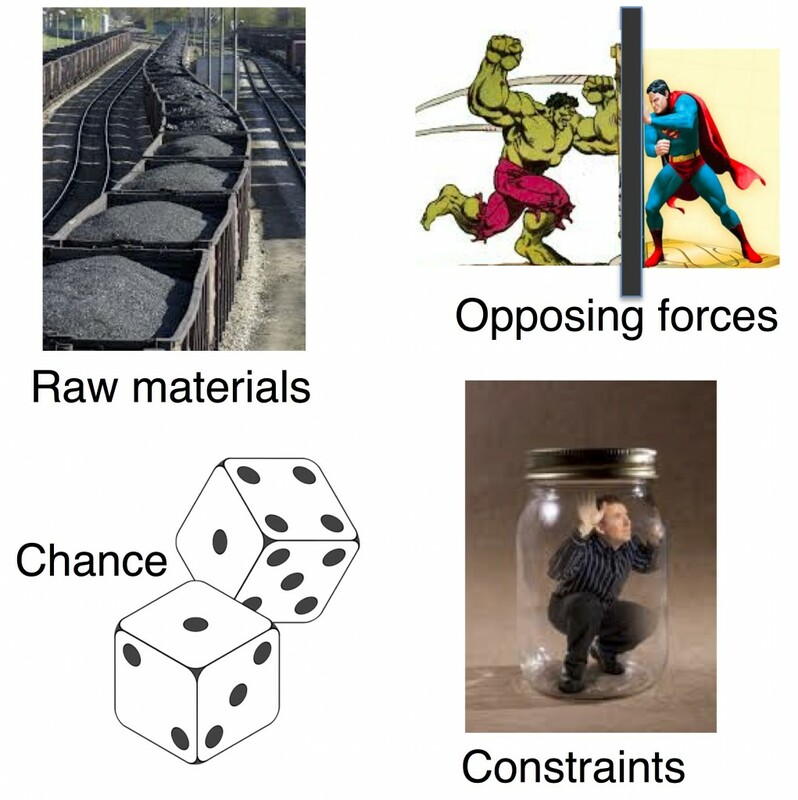 In general, mutation merely supplies raw materials, while selection is a higher cause, acting at a higher level to determine the direction and rate of change. Near the end of this post, I will try to explain why the architects of the Modern Synthesis were so committed to a theory they could not have proved, and that seems hopelessly wrong today. For now, I just want to point out that this is a consistent position presented in forceful language, based on direct and confident appeals to concepts from population genetics. No one literally defends the “gene pool” theory anymore, nor does anyone (except Richard Dawkins) dismiss the role of mutation rates. Alas, this shift in mainstream beliefs was not accompanied by a revolution or any conscious restructuring of evolutionary theory. The reformist energy that should have gone into developing a mutationist alternative was sucked away by the Neutral Theory. Over time, Mayr and his cohort died off, and their intellectual descendants just stopped saying the things that were clearly wrong. Today we are left with a confused mixture, a Franken-theory with some zombie parts that just won’t go away. Consider the neo-Darwinian catechism on the role of variation in evolution, which consists of 3 concepts. The first 2, which go back to Darwin’s time, are that mutation is merely a source of “raw materials” and merely a source of “chance.” The view of mutation and selection as opposing forces was developed by the Modern Synthesis. Apparently, it is not widely known that the raw materials doctrine refers to raw materials (e.g., crude oil, seawater, logs, coal, etc), and that it evokes Aristotle’s 4-fold classification of causes— “material” causes being the lowest kind. For instance, a shirt is made from fabric, fabric is woven from thread, and the thread is spun from either (1) natural fibers, in which case the raw materials are cotton, silkworm cocoons, etc, or (2) synthetic fibers, in which case the raw material is crude oil. Fabric is a material, but not a raw material. “Raw” materials are raw, unprocessed, unrefined. Materials do not make the shirt happen, and do not dictate the size or shape. Some agent has to spin the thread, weave the fabric, cut it, and sew the pieces together. More generally, material causes are passive, and provide substance only, not form or initiative or direction. The final product is not implied or embodied in the materials. Instead, some active force or agent gives shape and form to the materials. That is, the “raw materials” doctrine is a deliberate attempt to depict variation as a kind of passive clay that can be molded into anything, with selection as the agent— the active force shaping outcomes. In the Darwinian “gradualist” view, a single variation contributes to adaptation in the same way that a single grain of sand contributes to a sand-castle (see Why Size Matters: Saltation, Creativity and the Reign of the DiNOs). I suspect that if scientists stopped to consider what the “raw materials” doctrine intends, they would stop repeating it. For instance, one sees “raw materials” in the evo-devo literature, but no one in evo-devo actually believes this— they are all searching for developmental mutations that change body plans and reconfigure toolbox genes and generally make fantastic things happen. 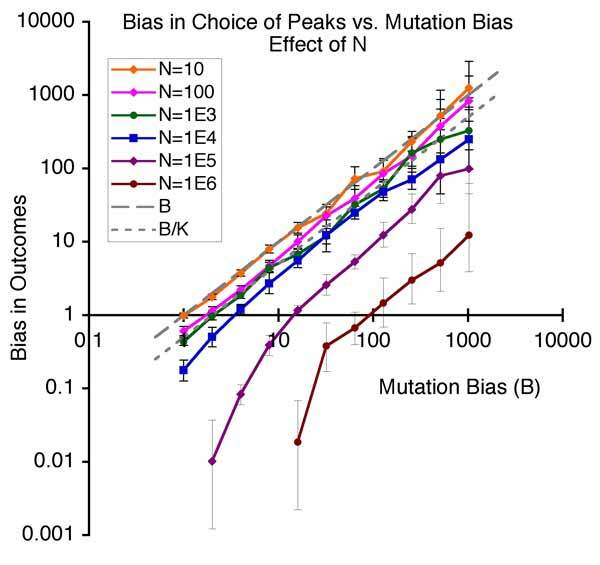 The view depicting mutation and selection as opposing forces, with mutation too weak to overcome selection, arose from an early mathematical result called the mutation-selection balance, which represents how often we would expect to see a particular disease-causing mutation. This view makes mutation-biased adaptation seem like an impossibility. Below, I’ll use a population-genetics model to explain why this view misleads us. In The Lady in the Water, Reggie (actor Freddy Ferguson) only exercises his right side. In this scene, Reggie is revealed as The Protector when his stare drives away a demon. The Lady in the Water earned accolades as The Worst Movie Ever, but that was before The Last Airbender. Finally, if mutation is merely a source of “chance”, then how can a bias in mutation make evolution more predictable? To develop a new understanding of the role of mutation in evolution, let’s start by re-thinking the common metaphor of evolution as a climbing algorithm. 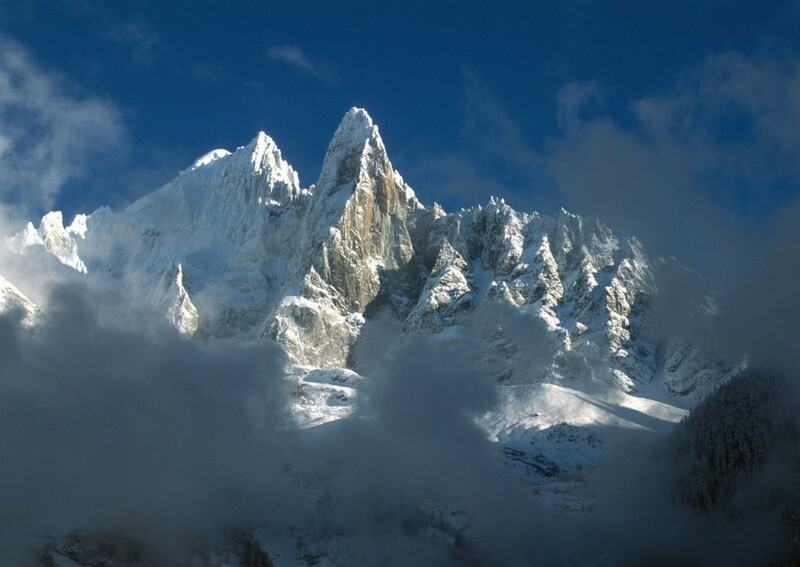 Imagine, as an analogy for evolution, a climber operating on the jagged and forbidding landscape of Les Drus (Figure). A human climber would scout a path to a peak and plan accordingly, but a metaphor for evolution must disallow foresight and planning, therefore let us imagine a blind robotic climber. The climber will move by a two-step mechanism. In the “proposal” step, the robotic climber reaches out with one of its limbs to sample a point of leverage, some nearby hand-hold or foot-hold. Each time this happens, there is some probability of a second “acceptance” step, in which the climber commits to the point of leverage, shifting its center of mass. Biasing the second step, such that relatively higher points of leverage have relatively higher probabilities of acceptance, causes the climber to ascend, resulting in a mechanism, not just for moving, but for climbing. What happens if a bias is imposed on the proposal step? Imagine that the robotic climber (perhaps by virtue of longer or more active limbs on one side) samples more points on the left than on the right during the proposal step. Because the probability of proposal is greater on the left, the joint probability of proposal-and-acceptance is greater (on average), so the trajectory of the climber will be biased, not just upwards, but to the left as well. If the landscape is rough, the climber will tend to get stuck on a local peak that is upwards and to the left of its starting point. Now, let us take this idea and make it into a population-genetics model, following Yampolsky and Stoltzfus (2001). We’ll start with an ab population and evolve either to Ab or aB. That is, we are going on a one-step climb, and we’ll climb either to the left, or to the right. Obviously, if Ab is the more fit alternative (i.e., if s1 > s2) and the mutation rate to Ab is higher (u1 > u2), then Ab is favored. But what if Ab is the more fit alternative, and mutation favors aB? That’s the critical case. As population size gets larger and uN is no longer small, we depart from strict origin-fixation dynamics, but there is still an effect of mutation bias (uN is about 1 and 10 for the 2 largest populations). Evolution doesn’t have to work this way. 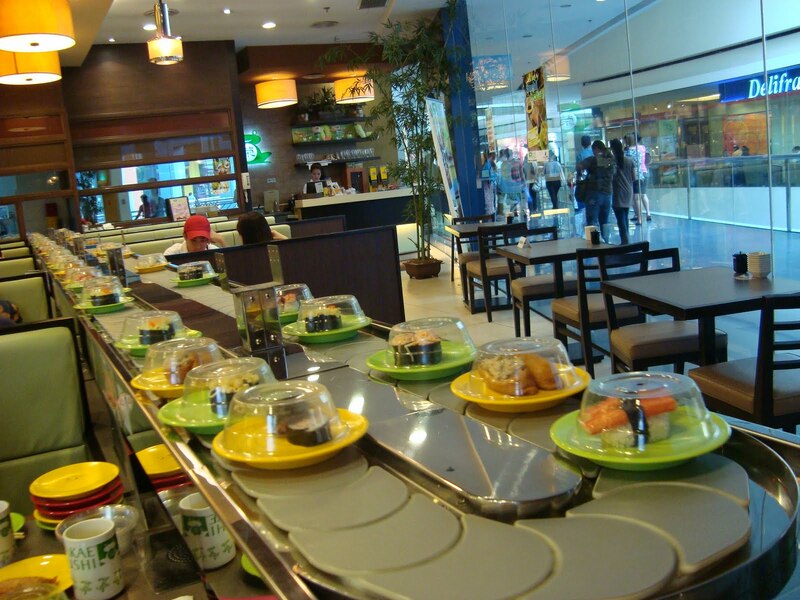 In a previous post I invoked 2 different styles of self-service restaurant— the Buffet and the Sushi Conveyor— to compare and contrast 2 different regimes of population genetics. The sushi conveyor offers a dynamic, iterated process of proposal and acceptance. The sushi conveyor: We iteratively make a yes-or-no choice on the chef’s latest creation as it passes by on a moving conveyor. A bias in the rate of appearance directly biases the outcome. We choose (we select), but we don’t control what is offered or when: instead, we accept or reject each dish that passes by our table. This is like origin-fixation models of evolutionary dynamics, which depict evolution as a discrete 2-step process of mutational origination followed by fixation or loss (by selection or drift). 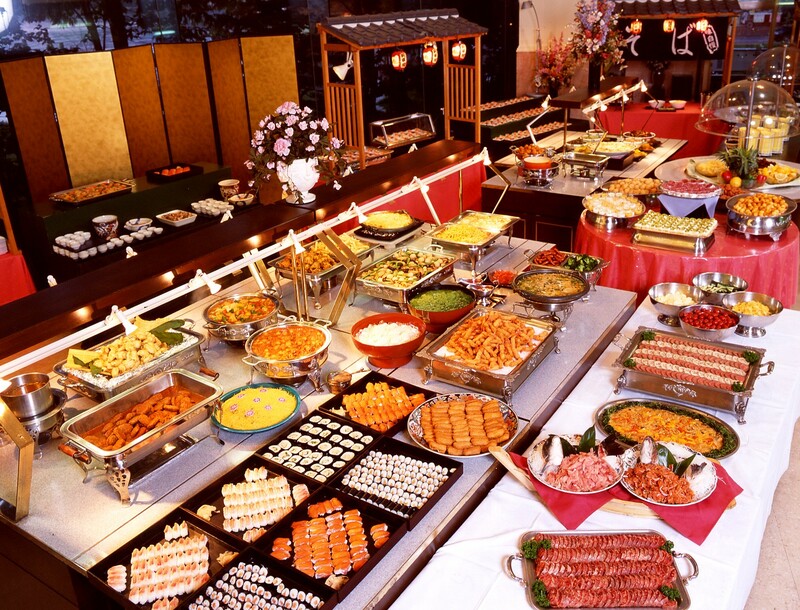 The Buffet: we begin with a practically inexhaustible abundance of static choices in full view, and fill our plate with the desired amount of each dish. A bias in amount does not change outcomes. The architects of the Modern Synthesis viewed adaptation differently, according to the buffet model. Just as the staff who tend the buffet will keep it stocked with a variety of choices sufficient to satisfy every customer, the gene pool “maintains” abundant variation sufficient to meet any adaptive challenge (selection never has to wait for a new mutation). Adaptation happens when the customer gets hungry and proceeds to select a platter of food from the abundance of available choices. A bias in variation will operate completely differently in the two models. Let us suppose that the buffet has 5 apple pies and 1 cherry pie. This quantitative bias in what is offered to the customer makes no difference. A customer who prefers cherry pie will choose a slice of cherry pie every time; and likewise a customer who prefers apple will choose apple. But at the sushi conveyor, the effect of a bias will be different. Let us suppose that occasionally a dish of sashimi comes by on the conveyor, with a 5 to 1 ratio of salmon to tuna. Even a customer who would prefer tuna in a side-by-side comparison may end up choosing salmon more frequently— a side-by-side comparison simply is not part of the process. The reason I like this metaphor is that we can relate it directly to population genetics. The sushi conveyor corresponds to the origin-fixation regime in which the chance of making a choice is directly correlated with the mutation rate, because each change depends on a new mutation. By contrast, in the “gene pool” (buffet) regime, all the variants relevant to the outcome of evolution are present initially. Using the model above, if we put the alternative genotypes aB and Ab into the starting population at just 0.5 % frequency, this kills the effect of mutation bias completely, as shown by the flat lines in the figure below. When the variants relevant to the outcome of evolution are present in the initial population, biases in mutation don’t matter. Why is selection so much more effectual in the buffet regime? The probability of fixation of a new beneficial mutation is about 2s. 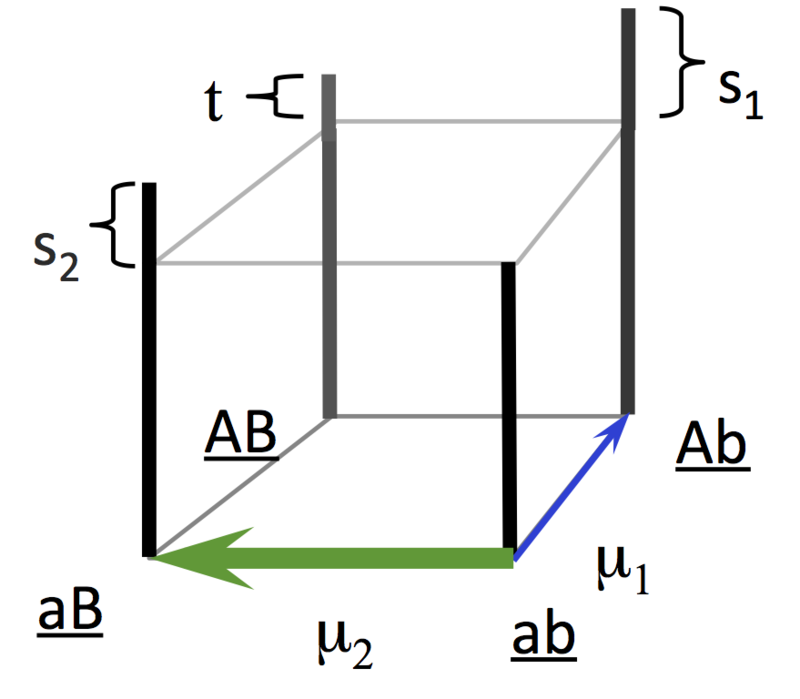 If sAb = 0.02 and saB = 0.01, this 2-fold difference in s corresponds to a 2-fold preference for Ab in the origin-fixation regime. In the buffet regime, the impact of exactly the same fitness difference is far greater: if we have 2 alternative alleles already in a population and they have escaped the drift barrier, selection pretty much always establishes the more fit alternative. 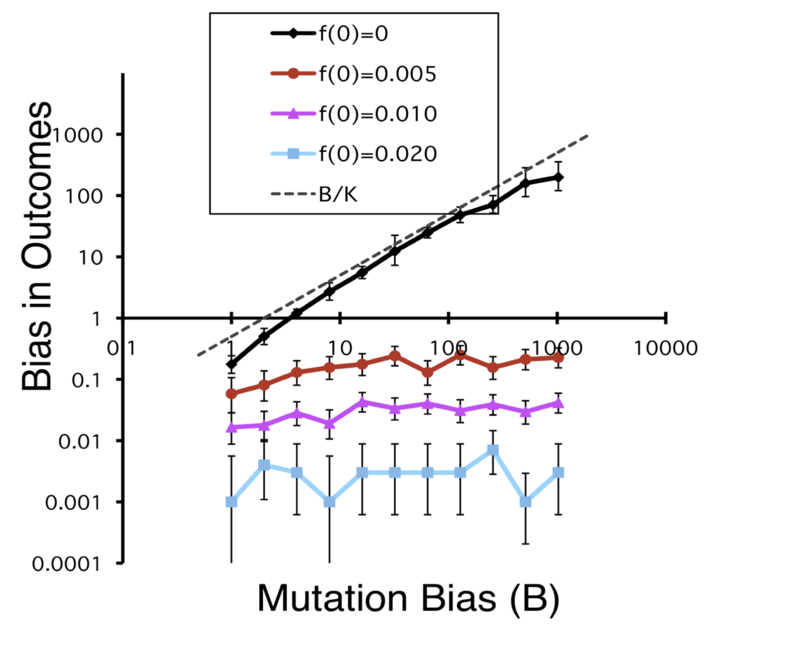 Why is mutation bias so important in one regime but not in the other? The bias operating so effectively in the origin-fixation regime is a bias in the introduction process, i.e., a bias in the rate of introduction of new alleles. This kind of bias is a profoundly important effect that directly impacts the course of evolution. But in the buffet regime, there is no bias in the introduction process, because there is no introduction process— all relevant alleles are present already. Once the alleles are present, mutation can shift their relative proportions in a biased way, but such shifts are quantitatively trivial compared to the shifts caused by selection (or even drift). This is why the architects of the Modern Synthesis said that mutation is a “weak force”. Dual-causation imagined in a dual-yoke aircraft. In one version of dual causation, pilot #1 (selection) and pilot #2 (mutation) fight over the controls. The stronger one wins. Mutation-biased adaptation does not make sense this way. 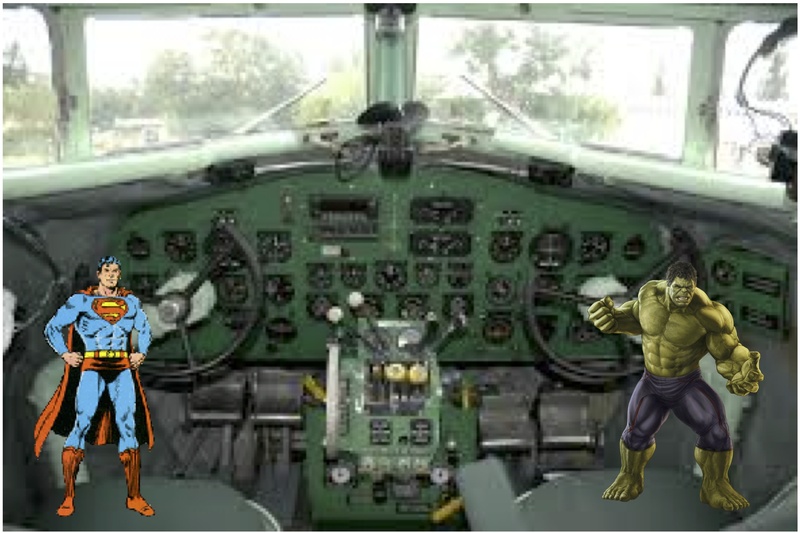 In a different kind of dual causation, pilot #1 moves the yoke fore and aft, controlling the nose of the plane, and pilot #2 turns the handle left or right, controlling the direction. Let’s return to metaphors one last time. For a century, we have understood that mutation and selection are both necessary. But the role of mutation has been depicted as supplying raw materials or chance. When seen as a force, mutation is said to be weak. We have imagined selection in charge without any mutational effects, or mutation in charge when selection is absent (neutral evolution), but making them co-pilots is a new way of thinking (Figure). I promised earlier that I would explain why the architects of the Modern Synthesis were so committed to a view that they had not proved, and which led them to believe that the rate of evolution would not reflect the rate of mutation. Evolution as movement in the topological interior of an allele-frequency space (left). Each dimension is the frequency of allele 1 vs. allele 2 at a locus. The “shifting gene frequencies” view depicts evolution as a smooth shift from one set of optimal allele frequencies to another, involving many loci at once. Change is initiated by an environmental change, and proceeds until a new optimum is reached. Why were the architects of the Modern Synthesis so strongly committed to an elaborate view that they hadn’t proved? Welcome to the world of science. In science, there are theories, conceptual systems for generating explanations and predictions through formal and informal reasoning (e.g., the metaphors and analogies used above). The predictions of theories like the Modern Synthesis are not always bottom-up predictions. If some high-level proposition Y is accepted as true, a lower-level proposition X is implied if X is the only way to get to Y. This is not the logical fallacy of affirming the consequent: if the theory asserts the truth of Y, and X is necessary for the truth of Y, then X (and of all of the implications of X) are predictions of the theory. We can put this in more flexible Bayesian terms to the effect that, if Y is more likely when X is true, then evidence for Y increases our belief in X. In this case, what are X and Y? The Modern Synthesis was committed to the buffered “gene pool” view (X), because this is the particular view of population genetics that justifies Darwinian doctrines of gradualism, the creativity of selection, the subordinate status of variation as a source of random raw materials, and the control of selection over the direction of evolution (Y). Stripped of all nuance, the core claim of Darwinism is that, because organisms are exquisitely adapted, down to the finest detail, the mechanism of evolution must supply abundant infinitesimal raw materials for selection to shape the organism precisely to conditions. The Modern Synthesis “gene pool” view provides the needed mechanism. Alas, it’s mistaken. Once again, I’ve said way too much, so let’s review the big picture. For those who don’t care about theory, concepts, or history, the point of Galen, et al (and the other studies cited above) is that ignoring non-randomness in mutation means ignoring a potentially important source of information about what is likely to happen in evolution, and conversely, studying the rates of mutations gives us more leverage to predict and explain evolution. As you may know, A. Wagner (in his Arrival of the Fittest) prefers another metaphor, the one of Borges’ universal library. I like this metaphor better, not because I happen to like books more than apple or cherry pies, or buffets for that matter, but because the book/libary idea is less metaphoric since it direcly relates to the idea of (vast) search spaces (cfr f.e. the protein search space, of J Maynard Smith, 1970). His models show that there are plenty of ‘needles in the haystack’- if you allow me another metaphor. ‘ Lucky mutations’ abound. Wagner’s metaphor also clearly points at the elephant in the room. I think. “we now can read individual volumes in nature’s libraries. We can, for example, manufacture any volume of the protein library—any amino acid sequence at all—and study its chemical meaning with the instruments of biochemistry. Many of these volumes were discovered by other organisms long before us, and their molecular meaning has surprised us greatly, as antifreeze proteins, crystallins, and Hox regulators testify. It’s a safe bet that nature’s libraries will continue to surprise us—more than anything we just invented.